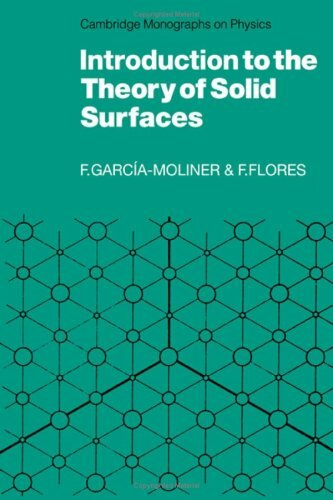 First published in 1979, this is a self-contained account of the theory of surface physics. In drawing together many results only previously reported in research papers, the authors emphasise basic disciplines such as electrodynamics and electron gas theory and demonstrate their application to simple models. Connections between intuitive derivations and more rigourous formulations are explained and there is an extensive treatment of the general problem of matching at a surface as a mathematical formalism with a physical meaning. Commonly recurring concepts such as surface modes, Green functions and phase shifts link different parts of the book, so giving coherence to the theory as a whole. A good background in physics is assumed but no previous acquaintance with surface physics. Starting from first principles, the reader is led from elementary analysis to the level of current research literature. The book is thus suitable for postgraduate students, post-doctoral workers or anyone wanting a systematic introduction to the field. First published in 1979, this is a self-contained account of the theory of surface physics. In drawing together many results only previously reported in research papers, the authors emphasise basic disciplines such as electrodynamics and electron gas theory and demonstrate their application to simple models.